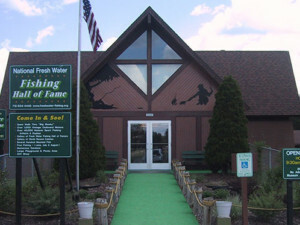 HAYWARD, Wis. — After much deliberation during the recent National Fresh Water Fishing Hall of Fame Awards Committee’s annual meeting, 11 individuals were selected for induction into the Hall, located in Hayward, Wis., for 2019, Outdoor News learned Wednesday, Oct. 3. Fred Arbogast (Ohio) was one of the true pioneers of the fishing lure industry. As with so many who enter the lure business, it began as a hobby. Arbogast began by carving lures for himself and friends while employed by the Goodyear Tire and Rubber Company in his hometown of Akron. As his lures began to become popular with area anglers, some of the local tackle shops began asking if they could buy them to sell in their stores. Soon after, Arbogast became aware that he was really on to something. Armed with this new-found popularity and confidence in his lures, he resigned from Goodyear and decided to enter the lure business in earnest – that was in 1926. Two years later, the Fred Arbogast Company was officially formed. Arbogast was president and chief lure designer of his company until his death in 1947. The Jitterbug and the Hula Popper are among the most highly recognized and best selling lures of all time. He is also notable for inventing the rubber skirt and the buzz bait. The Fred Arbogast Company is currently owned by Pradco Outdoor Brands who continue to produce and sell the lures designed by Fred Arbogast. John Campbell (Iowa) has fished Lake Okoboji and the Iowa Great Lakes for decades. He knows where the fish are hiding and how to catch them. Campbell competed at the highest levels in walleye tournaments for over 25 years, finishing as one of the top anglers of all time. Campbell enjoys teaching people how to become better anglers. Over the years he has been a Main Stage featured speaker at outdoor shows in Minneapolis, Chicago and smaller towns throughout the Midwest. He has appeared in hundreds of TV, Radio, Newspapers and Magazines as a fishing expert. Dave Dorazio (Wisconsin) started guiding in the mid 1960’s on the Chippewa Flowage near Hayward and continued this career path for another 50 years. Dorazio is one of the early pioneers of catching and releasing muskies, which he began promoting in the 1970’s. He is a former owner of the Eddie’s Bait Company and of Dorazio Tackle, makers of the legendary Bootail. Dorazio has written many articles about the Chippewa Flowage and musky fishing as a Field Editor for Musky Hunter Magazine. When not on the water there is much demand for Dorazio as a sport-show speaker and he has made many appearances on regional outdoor television programs. His clients over the years will admit that he is not only a legendary guide; he is also a first-rate instructor sharing his knowledge with all who wish to be better anglers. Ray Dupuis (Ontario) worked hard over the years to protect the Canadian fisheries that were part of the Nipigon Basin. The first project he was responsible for was sustaining fisheries that were imperiled. This began in the 1960’s. His involvement consisted of a study to discover why walleyes numbers were dropping in Nipigon Bay. His next project was the Buck-A-Day Lake brook trout restoration program where he convinced the local ministry to close winter fishing to protect the trout from over harvest by poachers. The Clearwater Creek restoration project was one that was near and dear to Dupuis as he fished this creek as a child. In the 1950’s the waterway was diverted and the brook trout population was decimated. Working with an area biologist he convinced the local politicians to restore the creek and today the brook trout are spawning there once again. Dupuis has been instrumental in the Kama Creek restoration as well. He has spent many hours on the proposal to remove the Black Sturgeon River Camp 43 Dam, which is still ongoing, and he was a major influence in legislation that required Ontario Hydro to protect spawning beds. His promotion of live release for brook trout, introduction of slot sizes and barbless hooks will help maintain a fishery that is now considered second to none. Curtis Fleming (West Virginia) grew up in central West Virginia, the son of a coal miner and learned the love of the great outdoors from his father. He spent fifteen years in education and working with troubled youth after which he served as President and CEO of a gas and oil company. He carried the philosophies of good business with him to his next chapter in life and believes in building relationships with the people he meets along the way. Starting as a weekend hobby, Fleming’s love of the outdoors and fly fishing led him on an ever-evolving journey. These travels and the folks he meets along the way are documented in his Fly Rod Chronicles (FRC) with Curtis Fleming which airs on three national networks in North America. Sam Griffin (Florida) was born in 1937 and was 15 years old when he carved his first lure. He used guava wood because he knew it would float. When the lure hit the water it immediately sank and that was the beginning of his experimentation creating lures that caught big fish. His initial offerings were the Old Line Sides lure which is coveted today by collectors. His other early experiments yielded the Hobo. In 1989 when Griffin sold all the rights of Griffin Lures to Luhr Jensen they were producing six of his creations. They were: The Sammy Shad; the Wobble Pop; the Bass Baffler; the Lil’ Chris; the Jerk’n Sam and the Nippin’ Sam. Griffin tested his lures on Lake Okeechobee where he guided for over 50 years. Tim Hiner (Alaska) moved to Alaska in 1975 when he was 23 years old to fish and guide on the legendary Kenai River. He is still a full-time guide there today. Not only is Hiner considered one of the top guides in Alaska, he dedicates his time pursuing activities that result in better fishing conditions on the resources that surround him. He has taken days off, which is rare, to lobby the state Legislature for regulations that result in more fish in the system and he is active in the associations that are there to protect the resource. His clients concur that his enthusiasm, easy-going character and his love of life and the natural surroundings that encompass his passion for fishing create an enjoyable as well as an educational experience when joining him in the boat, which displays his guide number: 001. Eaddo Kiernan (Connecticut) grew up in upstate South Carolina where her love for the outdoors began. Both her mother and father instilled in her a passion for hunting and fishing, and by extension a passion for conservation. Kiernan attended Duke University for her undergraduate degree and then to Tulane for her masters. While living with her family in Connecticut Kiernan realized that many children in the U.S. are not afforded the same opportunities to get outside and an entire generation was suffering from “nature deficit disorder.” She realized if kids were not spending time in parks or on streams or lakes it was unlikely they would step forward to protect those places when they became adults. She decided to do something. As a board member of Trout Unlimited (TU) Kiernan mobilized efforts to engage youth through fly fishing and related programs. While TU chapters at the local level understood the importance of investing in the next generation the national organization needed to get on board. Under Kiernan’s leadership the Headwaters Youth Education Advisory Board was created and now TU provides outdoor education experiences for young people from kindergarten through college. The TU Headwaters Youth Education Advisory Board, which Kiernan chairs, provides the inspiration, direction and resources to develop and grow programs so that over 400 TU chapters can implement these projects in communities across the country. Chip Leer (Minnesota) is a tireless promoter, innovator and communicator with a profound passion for fishing, hunting and the great outdoors. Over the past quarter of a century, Leer has become one of the Midwest and Great Lakes regions’ most ubiquitous and recognizable angling authorities, particularly in the walleye, bass and ice fishing markets. His popularity continues to grow through personal contact at numerous events, seminars and special appearances, along with media exposure via television, radio, print and digital venues. Chip’s deep concern for our fisheries and fishing traditions also drives his support for organizations including the Mississippi Headwater Board’s “Changing Minnesota Traditions” campaign to save Minnesota’s beloved lakes and rivers from aquatic invasive species. Matt Straw (Minnesota) has been an outdoor writer since 1980. His first stint as a reporter was for Advanced Newspapers, then as a sitting editor for In-Fisherman Magazine from 1991 to 2012. He is currently a Field Editor for that organization. Straw has placed more words in In-Fisherman than any other writer, on every possible fishing subject, including conservation issues, and is considered one of the industry’s best resources on the topics of steelhead, smallmouth bass and panfish. Straw has also been in over 70 In-Fisherman television segments and was a fixture on In-Fisherman Radio. As a freelance outdoor communicator, Straw also appeared in many other publications and on a number of independent radio and television programs. Larry Whiteley (Missouri) has been communicating and educating anglers about their favorite sport for over 40 years. For the past 26 years Whiteley has been host of the award winning, internationally syndicated Bass Pro Shops Outdoor World Radio. The show is heard every day on radio stations in all 50 states and is featured on Sirius/XM and podcasts throughout the world. As a veteran of the U.S. Navy Whiteley is proud the show is also heard on every military ship at sea, military bases around the world and over the American Forces Radio Network. 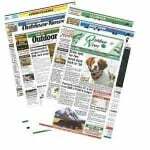 For the past 23 years Whitely has authored, Bass Pro Shops Outdoor World Tips for America’s weekly local newspapers, as well as regional and national magazines and web sites. Whitely has been involved for many years in outdoor education for youth and adults. In 1995 he helped found the Wonder of Wildlife (W.O.W.) National Outdoor Recreation and Conservation School that has helped teach thousands of kids and adults how to enjoy the outdoors. In 2001 Whitely was selected as the Conservation Federations of Missouri’s Conservation Communicator of the Year.